1. RainAir - relaxing shower rain. 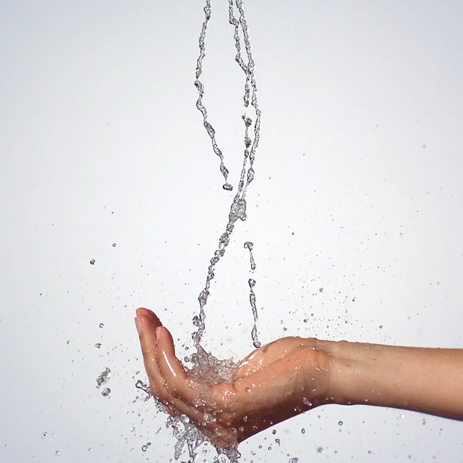 The water rolls out of the shower head, because each droplet is enriched with air. It caresses the skin just like soft summer rain. 3. Whirl - swirling massage spray. This relieves tension in the neck or shoulder area. The rotating helix jet wanders over the skin just like a masseur's fingers. Especially nice after indulging in sport. 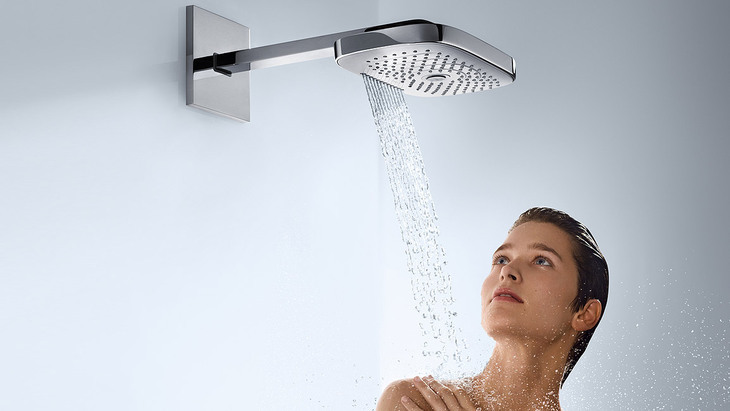 Check out other hansgrohe jet types in the image galleries. Pleasure showerers? Efficient showerers? Focus showerers? A series of practical tests sums it up. There are three different types of showerer: pleasure showerers, efficient showerers and focus showerers. hansgrohe wants everyone in the family to enjoy their own individual showering style, so they combined three jet types in one product: the Raindance Select E 120 hand shower can be switched to a different showering mode to satisfy everyone's personal need - at the touch of a button. Therefore each member of the family is invited to try out something different. Depending on time of day and mood.